First announced in January 2017, OSHA’s new beryllium exposure limit for construction workers was originally supposed to be in full effect on March 12, 2018. The administration just announced that the new enforcement date for the rule will be May 11, 2018. Previously, OSHA regulation 29 CFR 1926.1124 stated that the 8-hour permissible exposure limit (PEL) to Beryllium was 2.0 micrograms per cubic meter, but the new rule lowers the PEL to 0.2 micrograms per cubic meter. The new rule also established a short-term exposure limit (STEL) of 2.0 micrograms per cubic meter over a 15 minute period. OSHA estimates that around 11,500 construction workers are exposed to beryllium on job sites throughout the country, mostly through coal slag, which is commonly used in abrasive sandblasting. 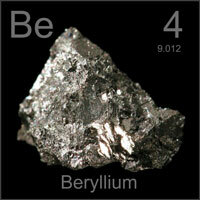 Like other respirable particulates found in construction, beryllium has been linked to a lung disease, specifically chronic beryllium disease. The disease kills around 100 people each year.